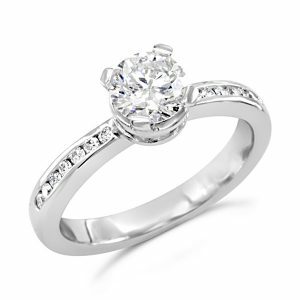 View basket “Diamond Bouquet Engagement Ring” has been added to your basket. A Fitted Eternity Ring Diamond Wedding Band. This platinum wedding ring tapers gently towards the middle. This makes an imperceptible indentation for the point at which the engagement ring widens to accommodate the solitaire diamond. 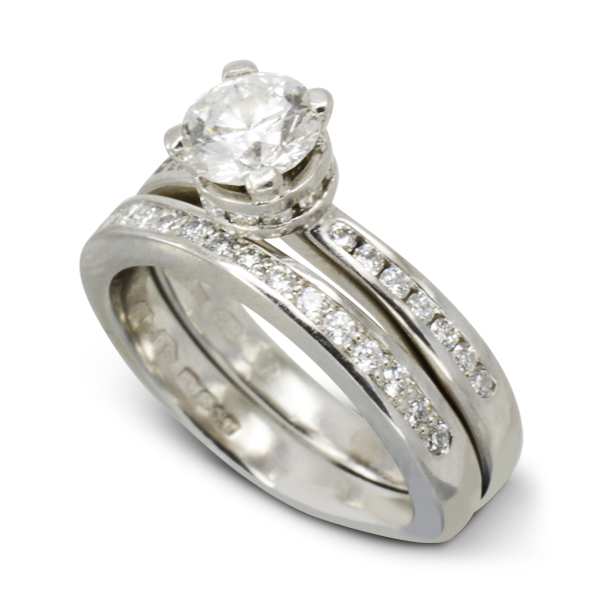 This bespoke shaped band can be used as either a wedding ring or an eternity ring. 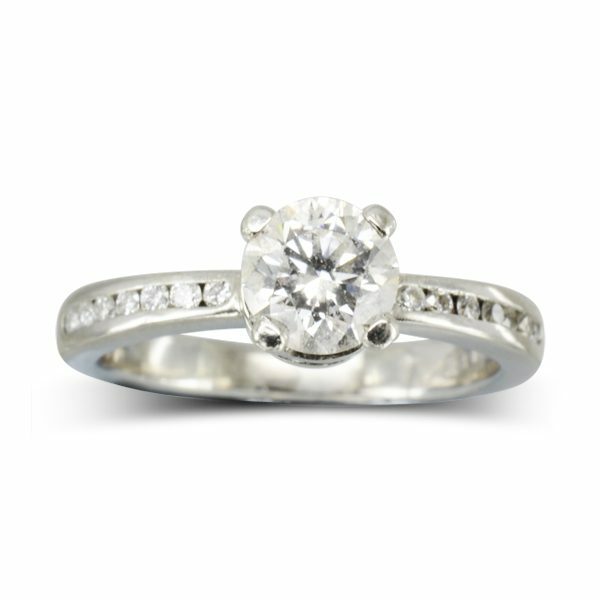 Pictured here it has been channel set with 1.5mm round brilliant cut diamonds. As all our rings are made to order you can commission this ring in other precious metals, larger or smaller diamonds and different colours and shapes of gemstone or diamond. 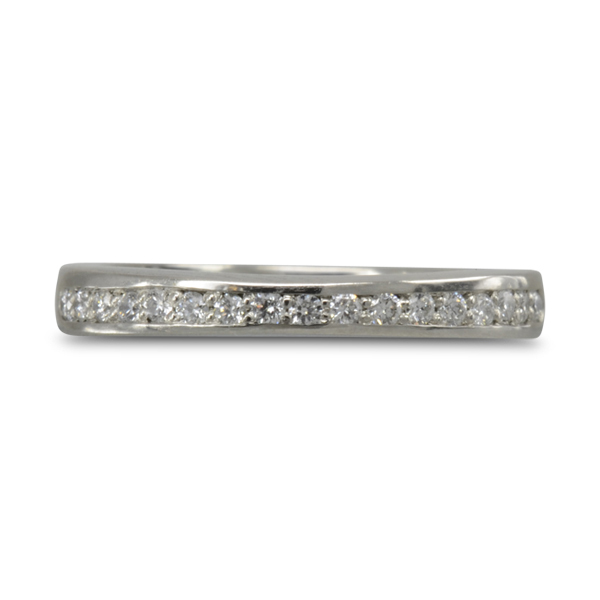 Add to your set of wedding and engagement ring by adding an eternity ring.